Nigel Reece (also known as ‘Akela’, ‘Niggle’, ‘Nig’ or ‘Teach’) was invested as a Cub Scout in 1991, and progressed through the Cub Scout, Scout, and Venturer Scout Sections at 1st Valentine Scout Group in Lake Macquarie NSW, with a highlight being his attendance at the Springfield Jamboree in Queensland. While Nigel commenced his squire training within the Rover Scout Section at 1st Belmont, he realised his strengths lay in leading youth and he moved from Rover Scouts to take on his first adult appointment as an Assistant Cub Scout Leader at 1st Belmont Scout Group in 2001. In 2002 he became the Cub Scout Leader at his ‘home’ Group of 1st Valentine and completed his Wood Badge in the Cub Scout Section that year. He then proceeded to assist on Basic Adult Leader Training Courses as a regular Presenter, and also Tutor for Advanced courses. 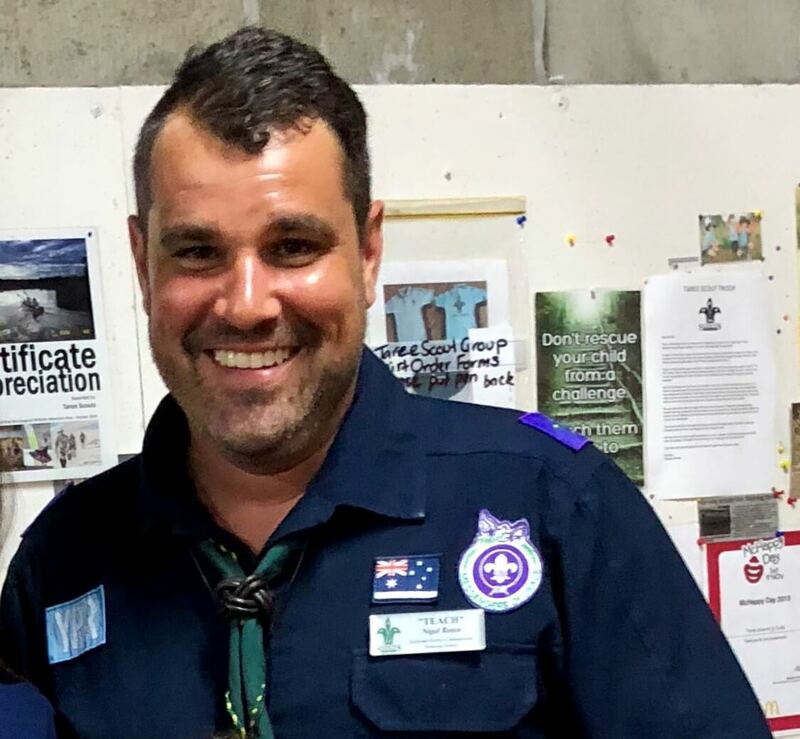 He was affectionately known as ‘Akela Niggle’ throughout the Hunter and Coastal Region of Scouts NSW for his successful leadership, Cub Pack, and Adult Training and Development roles. He attended the first NSW State Cuboree and the Cataract Jamboree as a Line Leader. 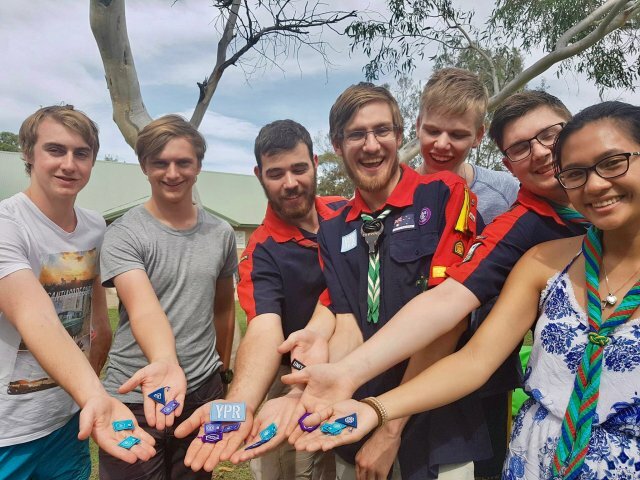 Nigel left the movement at the end of 2005, as a young leader pursuing a career, marriage and family; however, returned as an Assistant District Commissioner and District Leader (Adult Training & Development) for the Manning District of Scouts NSW Hunter and Coastal Region in 2017. Since his reappointment he became a trained Mentor for the New Youth Program and has been successfully developing the skills of his District colleagues in embedding the Adventure Begins within their Sections and Groups; along with collegial discussions with other Mentors working within Pioneer Groups within NSW. Nigel also completed his Leader of Adults Basic and Wood Badge training, along with the Scouts Train the Trainer series to complement his professional qualifications. 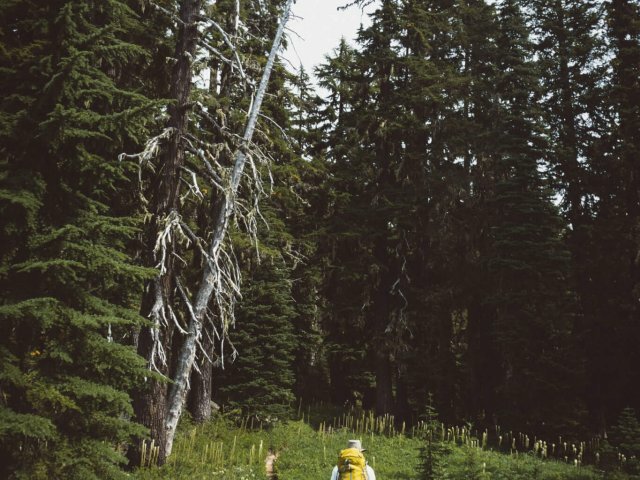 “I consider Scouting strengths to lie in its focus on personal best, through a non competitive and inclusive program which emphasises life skills along with adventurous activities for all ages” says Nigel. Professionally Nigel is the Deputy Principal of Taree High School, a large, comprehensive, connected communities, public high school on the mid-north coast of NSW. He has over 10 years’ experience in Senior Executive leadership positions within schools and his formal qualifications include a Master of Education, a Bachelor of Teaching/Bachelor of Science, Certificates in Training and Assessment, and the original SAIT Certificate IVs in Business Frontline Management and Leadership. Nigel is a devoted father of three who enjoys the outdoors and he volunteers as an active member of his local Scout Group. Nigel will commence as the new National Commissioner, Youth Program in July 2018.